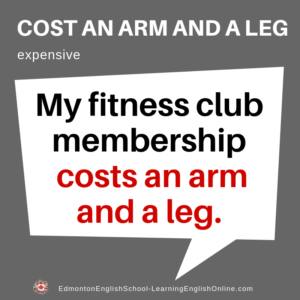 to COST (or spend) AN ARM AND A LEG? 1. Buying that new car cost me an arm and a leg. I won’t be going anywhere for vacation this year. 2. 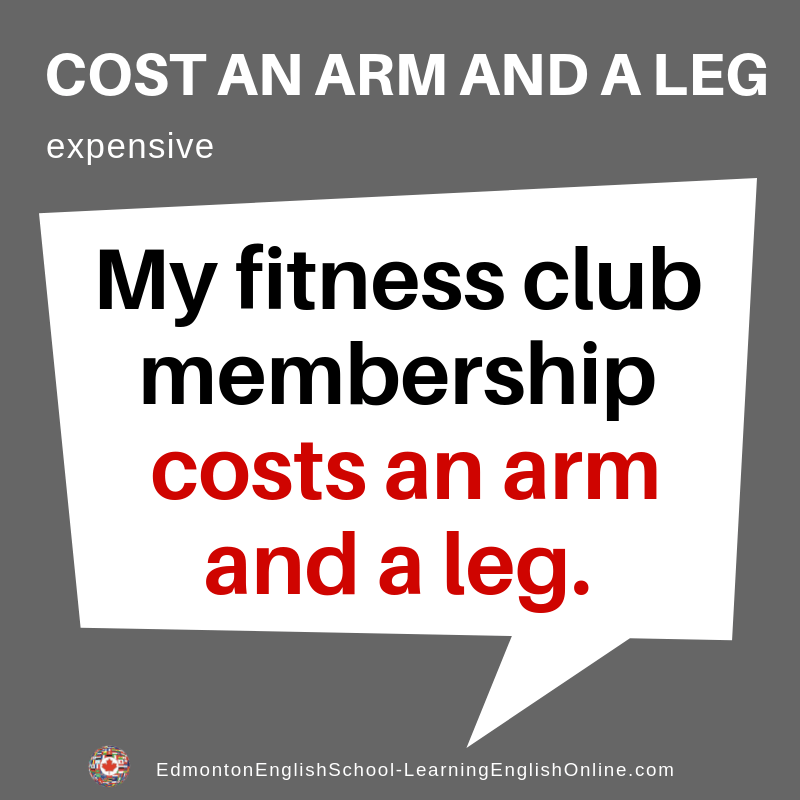 My fitness club membership is costing me an arm and a leg. I am going to look into buying some equipment I can use at home.